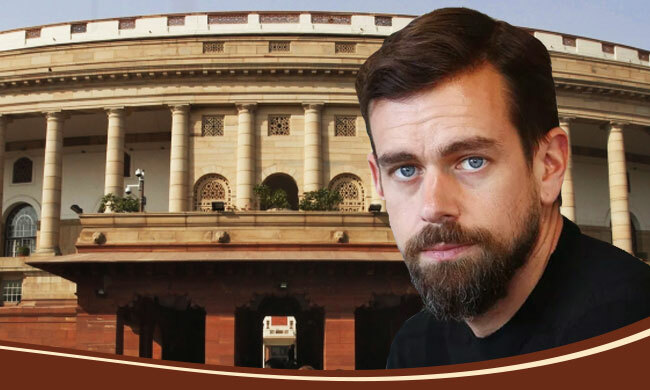 The summons issued by the Parliamentary Standing Committee on Information Technology to Twitter CEO Jack Dorsey to appear before it on February 25 raises certain questions regarding its powers and functions. The Committee apparently felt snubbed, when Dorsey refused to appear on Monday following an earlier summons issued on February 5 to the discuss the issue of 'safeguarding citizens' rights on social/online news media platforms'. "Given the short notice of the hearing, we informed the committee that it would not be possible for senior officials from Twitter to travel from the United States to appear on Monday," Twitter said on Saturday. Twitter India instead sent few of its representatives, whom the Committee was not prepared to meet. The Committee chairperson Anurag Singh Thakur, BJP MP in Lok Sabha, reportedly said that company officials in India were not authorised to take enforcement decisions and hence decided to summon the CEO himself on February 25. In this context, it is pertinent to examine the functions and powers of Parliamentary Committees. Departmentally Related Standing Committees of Parliament are formed with the broad objectives to give expert opinion on drafting of bills, and to exercise parliamentary review of executive actions. In other words, they function to support legislative actions, and to check executive decisions. The Parliamentary rules and procedure further state that Committees should not consider the matters of day-to-day administration of the concerned Ministries/Departments(Refer, Practice and Procedure of Parliament, M N Kaul & S L Shakdher, page 934). It can be seen that the functions of the Committee are broadly in relation to review of either legislative exercises or policy matters of the executive. They are not meant to act as a redressal body for the individual grievances of citizens. In order to carry out the above functions, the Committee has the power to summon officials of the government and also private individuals, largely with the objective of obtaining expert opinion on its assigned area. A Committee can take evidence of experts, public bodies, associations, individuals or interested parties suo motu or on requests made by the persons or bodies interested in or affected by the subject matter under consideration or examination of the Committee(Rule 269).The Committee has the power to issue summons to a representative of a Ministry, Department, Public Undertaking or any organisation or any other person to give evidence before a Committee and/or to produce before it any document required by the Committee. For example, the standing committee which examined the Citizenship Amendment Bill solicited views and suggestions from various stakeholders before giving its views on the bill. The Standing Committee on demonitization had quizzed the former RBI Governor Urjit Patel regarding the policy. Often, committees undertake enquiry, much like a quasi-judicial proceeding. Joint Parliamentary Committees have enquired issues like Bofors scam, 2G scam, Harshad Mehta stock exchange scam, VVIP Chopper scam etc. These were cases of alleged abuse of power by executive on a major scale, involving the complicity of ministers and high ranking executive officials, affecting larger interests of the country as a whole. The present action by the Committee under Thakur does not appear to be covered under any of the general functions of parliamentary committees. As per reports, the trigger for the Committee's action is a complaint filed by a right-wing group "Youth for Social Media Democracy", which alleged that the micro-blogging platform was arbitrarily suspending accounts of those who are sympathetic to the ruling BJP. The said group held protests in front of Twitter India office, alleging that Twitter has acquired an "anti-right-wing attitude" and has been blocking their accounts. Last October, Twitter had announced its decision to act tough on fake handles and malicious accounts "to protect the integrity of elections". In the last week of January, Twitter had suspended the account of an anonymous right-wing handle, which led to protests from several users. BJP supporters on Twitter are getting targeted and platform @TwitterIndia is suspending pro bjp accounts. Kind request to formally take this up with liberals at their HQ. The Committee's summons to Twitter CEO has to be analysed in this factual background. The allegations against Twitter may or may not be correct. But, it is not within the mandate of the Committee to examine the correctness of these allegations. Enforcement and protection of fundamental rights are functions of the executive and judiciary. The legislature's function is only to lend statutory support in that exercise. The Committee, which is a subset of the legislative body, cannot seek to exercise executive or quasi-judicial functions over this issue of perceived arbitrariness by a social media platform. If Twitter has violated any provisions of the Information Technology Act, or any other law, the competent authorities under those statutes should be moved. Parliamentary Committee is not the forum to address the grievances of twitter users. The generic and vague description of the mandate of the Committee on this issue - safeguarding citizens' rights on social/online news media platforms- seems to mask the real intent and objective of the exercise. If the stated objective is for real, then why only Twitter is proceeded against, ignoring other social media platforms? The background of the issue makes way for a reasonable inference that the Committee's action is triggered by right-wing outrage over Twitter's action. The alleged political bias of a private corporation should not be a matter of concern for a parliamentary committee, over several other far more pressing issues. The Committee is not known to have acted on issues with wider and graver impact like net-neutrality policy, data privacy, data protection law, Aadhaar amendment bill etc. But on this issue, which is largely concerning a certain class of persons in a particular spectrum, the Committee is acting with inexplicable zeal. Is the issue worth the time and energy of the Committee, which comprises 21 Lok Sabha MPs and 10 Rajya Sabha MPs? Over its term, this Standing Committee has otherwise devoted its attention to weighty matters of policy and legislation such as review of the functioning of Prasar Bharathi, CBFC, TRAI, Digital Literacy Mission, UIDAI etc. In contrast, it has now chosen to engage with a seemingly trivial issue, which is not much of an importance to larger populace of the country, and which is better left to courts or other fora to deal with. It is not sure whether this exercise will lead to any concrete positive outcome. The Committee cannot issue any binding directions; nor can it enforce its decision. At any rate, the action of the panel does not seem to be supported either by established procedure or precedent.